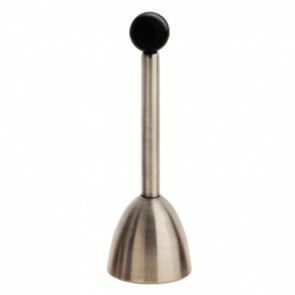 The egg knocker in inox makes possible the neat cutting of the top of your egg's shell. This way, it does become conceivable to serve a scrambled eggs directly towards the shell. It also can be used to simply savour an egg as its pieces do not end up into the egg. 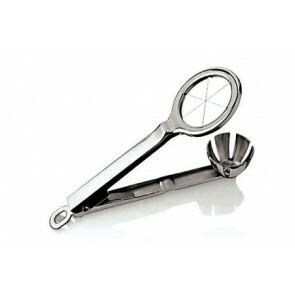 The egg slicer / egg wedger enables to make eggs quarters.